Two years after the massacre, the State enforces stricter rules and harsher punishments on anyone rumored to support tomo - the clairvoyant drug that caused a regional uprising. But sixteen-year-old Sophia Gray has other problems. Between her father's illegal forgery and her friend's troubling history, the last thing Sophia needs is an unexpected encounter with a boy. He's wild, determined, and one step ahead of her. But when his involvement with tomo threatens her friends and family, Sophia has to make a decision: fight for a future she cannot see or sacrifice her loved ones to the world of tomorrow. This was truly a unique read! I love my dystopian worlds and while some can blend together, that definitely wasn’t the case in Take Me Tomorrow. The elements of the storyline were enticing and the mystery of all of the unknowns kept me flying through the pages. The little hints of romance were innocently sweet and what blossomed from it left me smiling. And the ending of the book left me completely dismayed (but in a good way)! I can’t even start to imagine where they can all go from here! 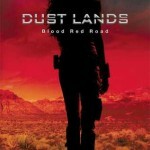 Sophia is doing something she always does, walking her land to make sure there are no tomo trespassers. It is her only sense of freedom in a world where everything is tightly constrained. Only two years ago tomo, a clairvoyant drug, caused a massacre to happen. Since then weapons have been banned, a tight curfew is enforced by police and disobedience is not tolerated with many levels of punishment in place. Upon her walk she runs into a boy who sets off a chain of events that crumbles her world into the ground. Everyone around her seems to be harboring secrets and in her desperate need to figure out what in the world is going on, while a war is erupting in the background, she keeps slipping further and further down the rabbit hole. “What do you have to lose?” I wanted to say, “Everything.” I had everything to lose. My reputation. My record. My friendship. My family. Probably even parts of my life I hadn’t considered yet. But my gut instinct told me that I could also save everything by shaking his hand. Sophia was a force to be reckoned with. She was strong, demanding, brave and she did everything in her power to help her friends and trust me, they always needed her help. I struggled right along with her while she waded her way through all of the secrets. And I was just as frustrated as she was when we kept coming across a situation that would cause even more unanswered questions. I truly liked her but I had a hard time grasping two things that revolved around Sophia. Miles and Broden. I never fully understood her relationship with either of those boys and I never felt a connection there. Maybe I missed something, I’m just not sure. But I definitely didn’t struggle in that department with Noah! “Wait,” Noah grabbed my hand, looking up at me with tired eyes, “Sophie?” Apparently, he did remember me. “I’m here,” I said after a moment. “Stay,” he breathed, and I felt the blood rush to my cheeks. I turned away, only to be met by Lily’s widened gaze. Mile’s jaw dropped, and Lyn smirked like she knew he would ask for me all along. Noah was a mystery that I enjoyed unraveling. He was broken, dark and even though he never showed it, I couldn’t help but feel as though he was suffocating from having the weight of the world on his shoulders. There is so much that we still have to learn about Noah and all of his secret plans. But ultimately I trusted him, and I hope I’m placing my trust in him correctly. Even though he frustrated me at times, he could switch and be so unbelievably sweet and innocent. When it was just him and Sophia, he morphed into a different person and I definitely started to fall for him. I want to know more about that side of Noah but at the same time I know he has a lot of work to do. He has a ton, and I do mean a TON of issues and problems. I don’t know if he will ever be able to work through them, but I’m going to keep my fingers crossed and hope for the best. Oh and his little nickname for Sophia, I loved, loved, loved! There is so much more that I need to learn. What led up to the tomo massacre, what happened during and shortly after, why do people believe this drug is their key to freedom, View Spoiler »I understand that the drug allowed them to see their freedom in the future but I don’t understand why they continue to desperately need it. « Hide Spoiler and were the teenagers’ friendships set into motion for the bigger picture? I’m hoping these unknowns will be addressed in the future because I struggle with unanswered questions. I’m at a loss for how this story is going to proceed because it seems as though their lives could travel down so many different paths and each path could have so many ramifications. 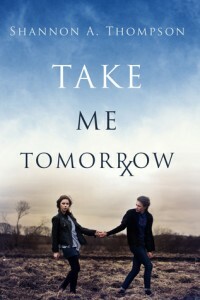 Take Me Tomorrow was a fun, quick read, and I look forward to finding out where their journey goes from here! Thank you for reading and reviewing Take Me Tomorrow! 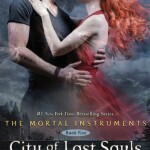 Adding this one to my TBR right now.